If you have any questions regarding the installation process, you can reach our support team at www.pcmatic.com/help. Our technicians are available to assist seven days a week. PC Matic Blog, tips multiple devices, pc matic. permalink. Please reach out to our support team at http://www.pcmatic.com/help. They will be able to assist with the installation of PC Matic on the computer, as well as how to reset it back to factory settings. Thank you! Yes, you don’t need to make any changes to your PC Matic application after upgrading. If it’s still displaying your operating system as Windows 7 just run and scan and clean and then reboot your computer. your add another computer does not work!!!!!!!!!!!!!!!!!!!!!!!!!!!!!!!!!!!!!!!!!!!!!!!!!!!!! Hi Tim, to add another computer you can visit http://www.pcmatic.com/consumer on the computer you want to install on. Then click the free download button and run the installer on that computer. 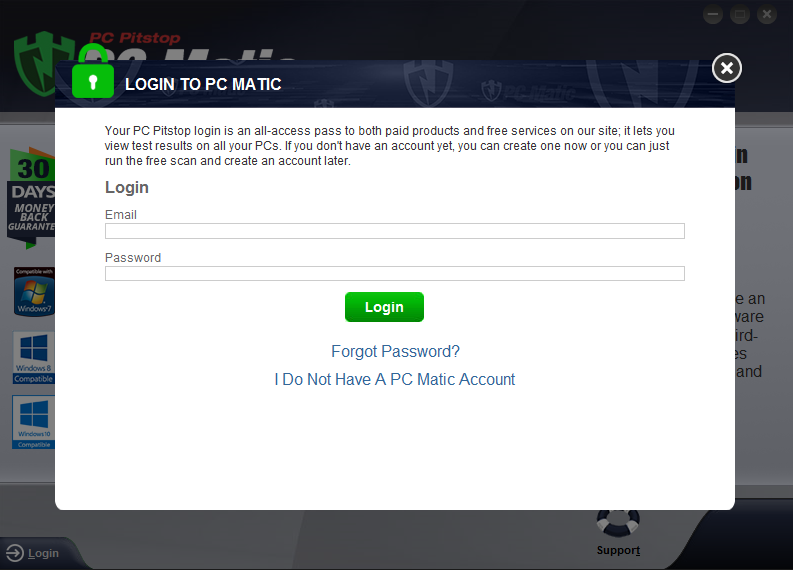 Once installed, click login in the lower left corner and sign in with your PC Matic account! Then you’re all done! I cannot get pcmatic to load. First, I got the continuous reload. So I ran the registry app and now it is all messed up . I tried an uninstall and loading the free package and that did not work. Just bought the life time option. Hi Louie, the best path here would be to contact our customer support team so they can get more information on the issue and get everything fixed up for you! You can reach them at http://www.pcmatic.com/help. Can l load pcmatic on my cell phone and tablet? Both have Android operating systems. At the moment only my pc is protected by pcmatic. I have PC Matic on my pc but I don’t see the icon on my pc. could you check and see why. I have had work performed on my pc and the mother board had to be replaced please help. Jerry, please reach out to our customer support team at pcamtic.com/help for any assistance with reinstalling PC Matic on your computer. 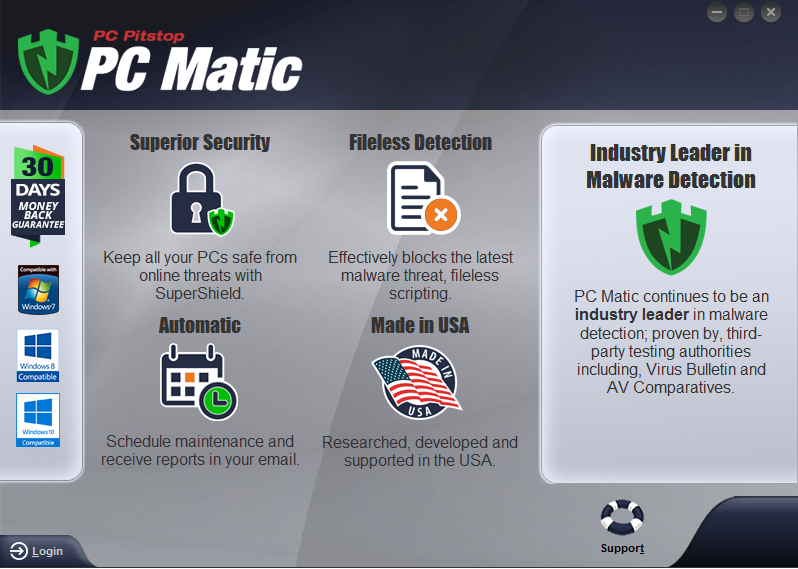 You can download the free download from pcmatic.com and after installing log in with your email and password used for purchase. Does at work with tablets, I.e. kindle. PC Matic is compatible with Windows and Android operating systems. 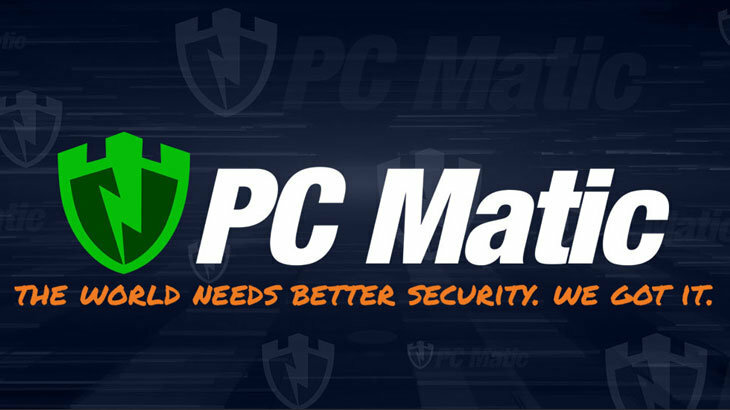 PC Matic is available for Android devices from the Google Play Store. Just search PC Matic for Android to find it! Then log in with your PC Matic account. I just bought p c matic for $50.00 and I can not down load anything. I have windows 10 and of-course there is no phone number. Linda, I’m sorry that you had an issue installing PC Matic on your computer. It looks like from your correspondence with our support team they issued you a full refund. We sincerely thank you for trying our product. Charles, please reach out to our support team and they can assist you in resetting your password. You can reach them by submitting a support request at pcmatic.com/help. You can also click “Forgot my password” underneath the login screen within PC Matic to reset your password.